I’ve been beavering away at this site for the past few weeks, trying to get things sorted. But I can now provide a glimpse at what’s in store for The Secrets Within in the very near future. Video Game Reviews – Every title that I can get my hands on will be reviewed here. Halo or otherwise. 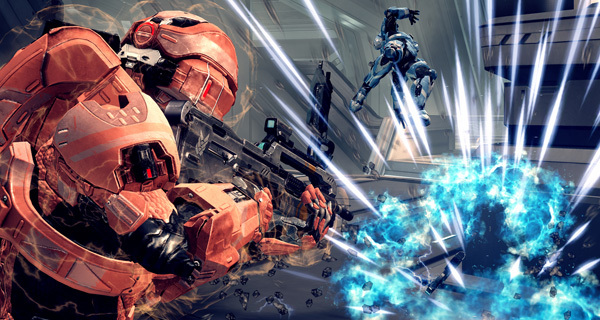 Halo Community Interrogation – Members of the Halo community will be secured by my ONI connections and interrogated. Freelance Halo – For those who fancy writing up their own articles but have nowhere to post them. Halo Feature Articles – These articles take pride of place, uncovering the secrets of Halo and examining the characters, technology and the events that span the entire galaxy, and beyond. Hardware Reviews – Not Halo related, but invaluable for those who are looking for something nice to buy. be it laptops, MP3 Players, or headphones and Bluetooth speakers. Flashback Friday – A nostalgic, reflective look back at the moments of Halo that resonate the most. Poll – The obvious and obligatory poll. The Library – Solely dedicated for those glorious moments when members of 343i or those affiliated step forward and chat to TSW. The Gallery – Fan art, fiction, machinima or anything else fan-made goes and is promoted here. The aforementioned list isn’t complete. There’s one more thing to announce. But I’ll do that when the time is right. February Poll: Driver or Gunner? NEWS: World of Tanks, and Halo 2 Anniversary.